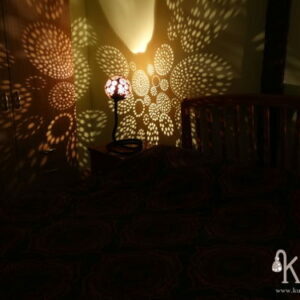 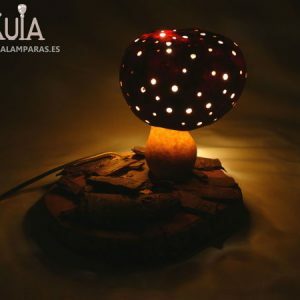 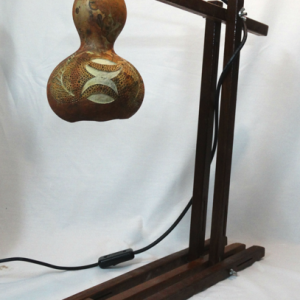 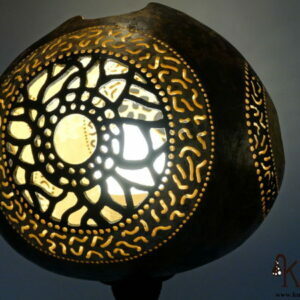 Handmade flexo lamp made of gourd. 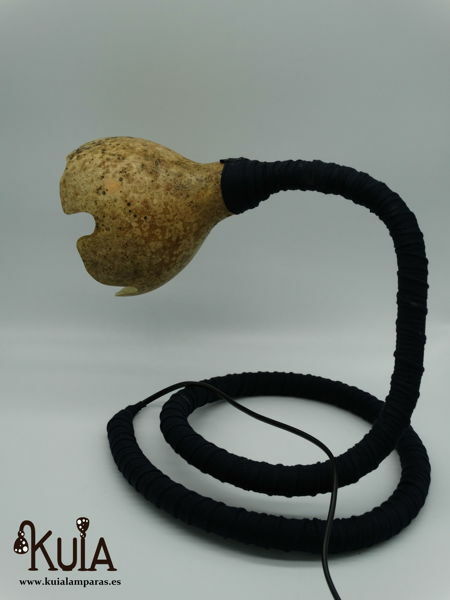 The gourd is cultivated by ourselves in an ecological way. 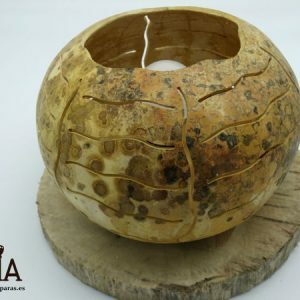 Then we let it dry for 4-6 months until it acquires a texture similar to wood, and will have a lifespan for life. 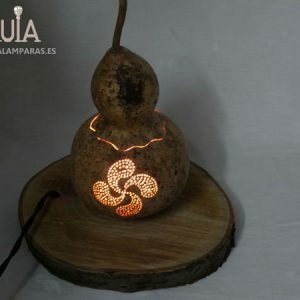 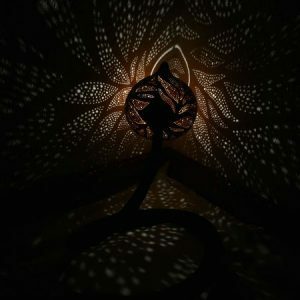 The gourd has been carved by hand, making it an opening similar to that of a tulip, where it will emit a powerful lighting that will allow you to use it as a lamp for the bed, you can use it to read, watch TV … any use you could give to a lamp current, only that this made with pumpkin.